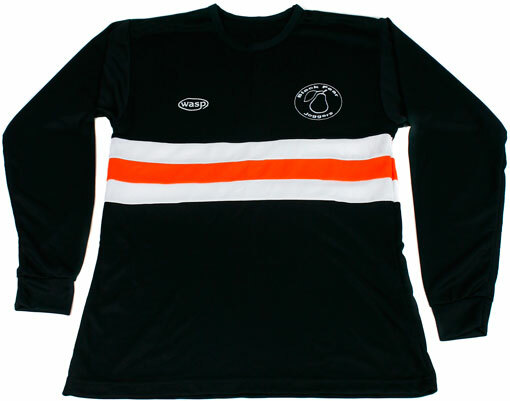 Once you’ve become a BPJ, look the part with some club kit! 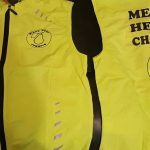 Simply pay for your kit online below with credit/debit card or PayPal, then get in touch with our kit person Glyn Pink, and he will arrange to bring the kit to the next suitable club run where you can check sizing and collect your kit. We don’t post kit, it must be collected. The ‘relaxed fit’ sleeved vestops offer a warmer option for cold weather competition. Just like the Athletic Vests, they are manufactured from high performance, moisture wicking ‘Micropore’ in a technical eyelet knit offering maximum breathability with minimum moisture retention. 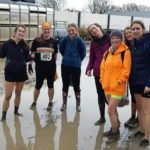 They were originally designed as a top layer but they have since proved to be the must-have garment for any activity or apres-sport, come rain or shine! As they are loose fit, it may be worth downsizing for a closer fit. 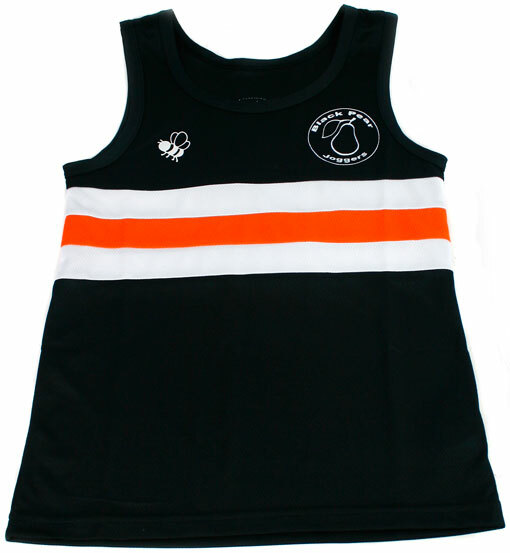 The vests high performance athletic and running vests are superbly made from the very latest technical ‘micropore’ fabric in a distinctive eyelet knit offering maximum breathability with low moisture retention. . ‘Micropore’ is a tried and tested activewear fabric, wonderfully soft with plenty of g-i-v-e so extremely comfortable to wear. With minimum care our vests wash beautifully time after time with excellent results truly representing long lasting value for money quality. 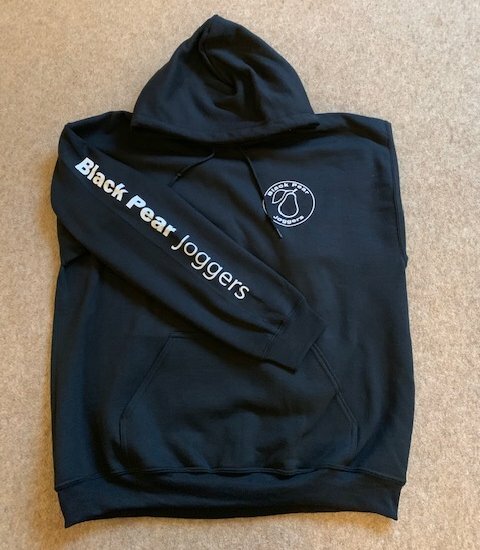 Hoodies are an ideal addition to your BPJ kit to wear before and after runs/races or outside of running. 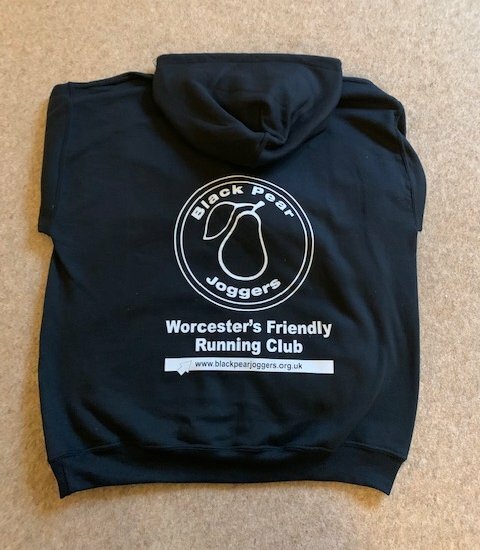 Hoodies are made to order and you can have your name printed on the front at no extra cost. 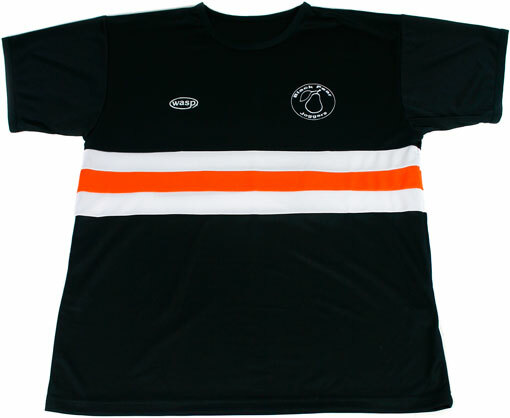 The front features the club logo and the back has the logo, website and slogan. The arm also features the club name. Price is £21.50 for overhead hoodies and £24.50 for zipped hoodies. To place an order, please fill in the online hoodie order form. After placing an order, Glyn will be in touch soon after to discuss payment and collection of your hoodie. Name: Your name (or nickname) printed on the front at no extra cost. Now available (limited supply). These clips are a a great alternative to using pins. 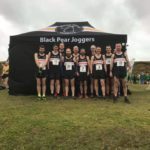 Featuring the Black Pear Joggers logo, these reusable secure bib number fasteners will allow you to secure your race number to most running tops. 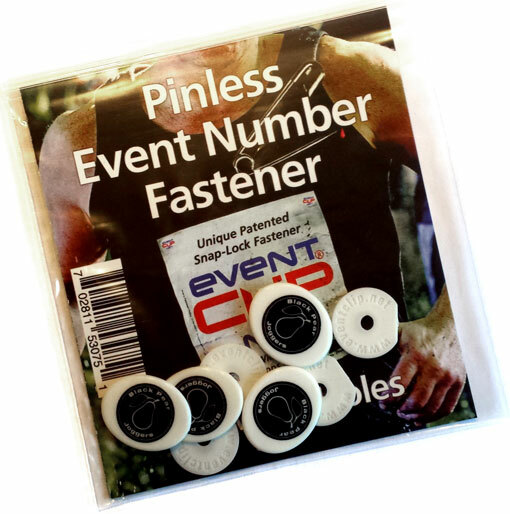 They will not rub or damage your tops (unlike pins) and are very secure, which is ideal for events like Mudrunner. They are very easy to attach and will stop your number from flapping about. Available to buy from Jo on most Monday club nights. To extend the life and colour of the garments and protect any applied prints against washing abrasion, we strongly recommend they are turned inside out before hand washing in a mild, non-detergent product. Alternatively, machine wash on a short ‘delicate‘ setting. Any marks or stains, use ‘Vanish’ BAR – it’s brilliant! Woolite is also a product recommended by the manufacturer.